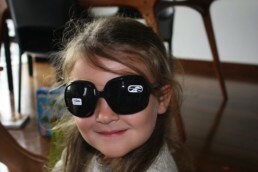 Gioia, 3 years old, lives in New York. She speaks English, French and Spanish. Her mother Samantha Adam Benenati is a journalist and the co-owner of Pomme, one of the most beautiful children's stores in the world. Jasmine was born in New York and moved to London a year ago. 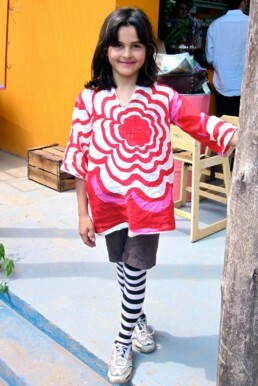 She has a younger sister and an older brother. Her dad Romas takes a keen interest in raising his kids in a cosmopolitan way, making them aware of the finer things in life. 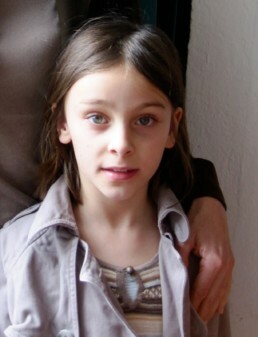 Six years old Eloise was born in Paris and now lives in Sao Paolo, Brazil with her father, mother and younger brother. She speaks French and Portuguese. 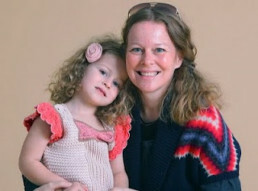 Her and mother Patricia, textile designer, tell us what they like when it comes to fashion, shopping, cinema and holidays.